This event this time promises to be a truly great event with so much organised. Entertainment in many venues in town in the afternoon and nightly. Top line dancers from home and further afield will give a dancing exhibition. Jiving classes on Saturday afternoon. All pubs will change their name so don’t be surprised to see Tootises or Las Chance Saloon up in lights for this weekend. 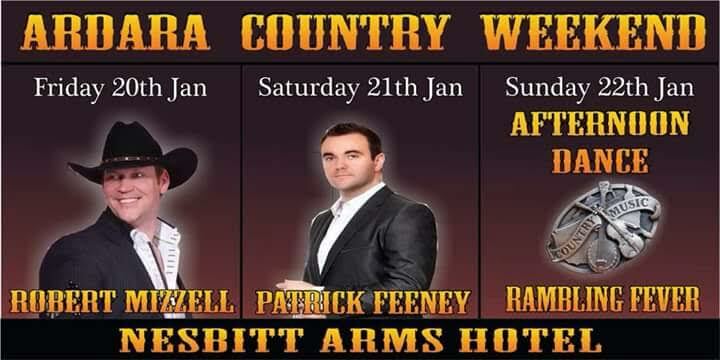 Top country stars in town Friday 20th – Robert Mizzel, Saturday 21st – Patrick Feeney, Sunday 22nd – Afternoon dance with popular local band Rambling Fever. 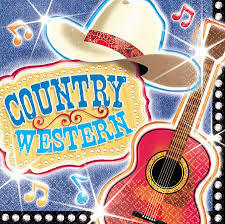 Don’t miss this weekend of fun and craic during the Ardara Country and Western Festival from January 20th to 22nd. Special rates on accommodation at the Nesbitt Arms Hotel 074-95 41103.